Most of us crazy about it. But do you know what it actually is? Here’s some gyaan before shaking legs. Zumba is a dance form accidentally discovered by Alberto “Beto” Perez from Cali, Colombia. Zumba uses cardio intervals of Latin dance moves like salsa, merengue, cha-cha, hip-hop and more to tone your body and drop inches. It has such a huge following because it has wide appeal. It’s fun, a great workout, and anyone can do it. It’s a fun and effective workout that has taken the fitness world by storm over the past few years. Another such famous dance form is Salsa. Salsa was created by the Spanish speaking people of the Caribbean an is a lively fusion of beats and music from the Latin culture. Both Zumba and Salsa have a lot of physical and psychological health benefits according to researchers. Body Zone provides personal training, group classes, nutrition & diet counseling and physical relaxation spas seamlessly integrated under one roof by a team of dedicated experts. It is one the best places to learn Zumba in Chandigarh. They have Zumba certified experts who will bring out your best energy and passion for dance as well as workout. You will be able to shed those extra kilos and tone your body by a happy and healthy form of group dancing. Danceworks studio is run by celebrity choreographer of dance show Jalakh Dikhlaja and quarterfinalist of India’s Got Talent season 7. When such titles are associated it with the owner, you know that the place has got some X factor. If you are looking to learn Salsa for some occasion or just out of passion, this is the perfect place. Body Scapes have got the perfect energetic ambiance which will keep you motivated to work on your body. The staff and trainers are very friendly and will do every bit to help in your workout. Their state of the art infrastructure and professional trainers ensures that you get value for money. The Zumba classes are organized on a weekly basis and you can contact them for more details. Chandigarh Dance Academy is one versatile place that teaches dance forms from Salsa to classical and folk. It’s a dance studio which operates from Steppingstone school Chandigarh established with an aim to help those who had a desire to express their happiness through dancing. Chandigarh dance Academy provides excellence in dance education in a nurturing and positive environment. So if you are considering to burn some calories while enjoying Salsa, this is the place to be. The founder of Dance dacha, Jasmeet K. Shan is a State Gold Champion of Latin American Dancesport Championship. 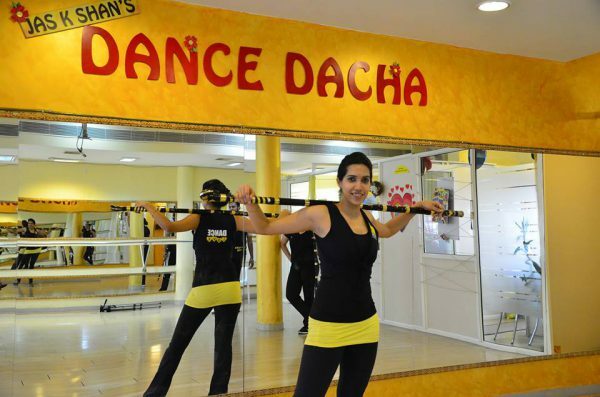 With 8years of choreography experience, Jas k shan’s Dance Dancha aims to revive the purpose of dance (Communication, enjoyment, healing & relaxation) to masses & classes they have licensed Zumba Fitness sessions. Their Zumba classes are held on a weekly basis with one class held in a week. Even if you are just a beginner, it’s never too late to start a healthy lifestyle. And these fun dances will ensure that you never get bored of it! GO BURN THAT FAT OUT. Next articleElante Mall To Shut For an Hour Tomorrow. Know Why?